Tigers, lions, and bears oh my! When you visit a Virginia zoo you will find these animals plus many more. Learn about wild animal from around the world and see them in their natural habitat. These zoos in Virginia will provide you with a wildly fun day! Are you an animal lover? Or maybe just like animals? 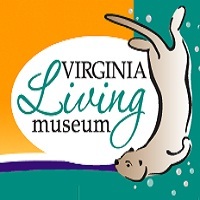 Go and visit the living exhibits of Virginia's Living Museum. It is open all day of the week from 9a.m to 5p.m with a fee of $17.00 for adults and $13.00 for children. Located in Newport News, Virginia the museum has plenty to offer including aspects of an aquarium, science theater aviary botanical preserve and planetarium. With all these, you can also interact with rare and endangered species in a safe and supervised environment. There is much to learn and tons of fun. Plus there are occasional events to increase your enjoyment at the Virginia Living Museum. 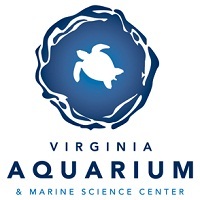 The Virginia Aquarium and Marine Science Center houses around 700 species of aquatic life and reptiles. It is open daily from 9a.m to 5p.m with a fee of $28.00 for adults, $21.00 for children (3-11) and $26.00 for seniors (62+). With over 800,000 US gallons of both freshwater and saltwater in tanks, there are certainly enough exhibits to see. The experience of being surrounded by a world you can't usually see is surely a sight to see. 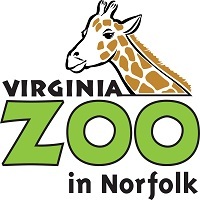 Visit the Virginia zoo in Norfolk and have a great time with your kids. There are many different animals to see and fun activities to do. It is open every day from 10a.m to 5p.m with a fee of $ 11 for adults and $9 for youth (2-11). As one of the best zoos in the state it has an area of 53 acres with over 350 species of animals. The zoo is teeming with life and has many things to see and discover. It has fun actives for children, facilities to interact with animals and even programs for adopting them! With all these and much more, the zoo is sure to keep you accompanied for the whole day! 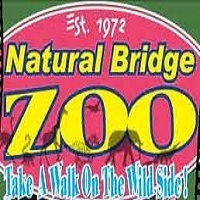 Visit the Natural Bridge Zoo in Virginia and have an epic day. See the animals, do some activities and much more! It is open from 9a.m to 6p.m on weekdays and till 7p.m on weekends with a fee of $12.00 for adults and $8.00 for children (3-12). As one of the top zoos in Virginia, the environment is eco-friendly and pollution free. With a wide variety of animals, the zoo has much to offer. There are many animals that you can directly interact with and many activities to do including a safari park. Go to the zoo in Virginia today and experience the wild side! Take a break at the zoo! 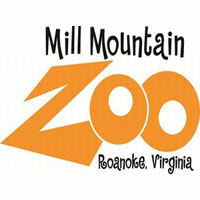 Visit the Mill Mountain Zoo in Virginia and have a nice and relaxing time. It is open daily from 10a.m to 4.30p.m with a fee of $7.50 for adults and $5.00 for children (3-11). Being on a mountain, it makes for an excellent choice to spend the day in a relaxing way. The environment is healthy and there are quite a lot of animals to see including the rare red panda and the snow leopard. Besides that, there are also many animals with great history at the zoo. It also makes an ideal spot to spend some family time with your kids. So, visit the zoo in Virginia and have a nice and soothing day. 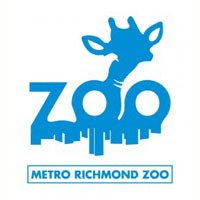 Visit the Metro Richmond Zoo in Virginia today and have a beautiful time. The museum is a great place to be outdoors. It is open Monday to Saturday from 9:30a.m to 5p.m with a fee of $15.75 for adults and $10.75 for children (2-11). The zoo holds mostly domestic animals but also houses many other wild animals. But the zoo is noted for giraffe-feeding opportunities and a display of the rare white Bengal Tigers. There are however also other opportunities for feeding a variety of animals at an extra cost. The zoo has other attractions including Safari Sky Ride, Jungle Carousel, Safari Train and Kiddie rides. So visit the zoo today and have an amazing time with the animals. The zoo that saves lives! 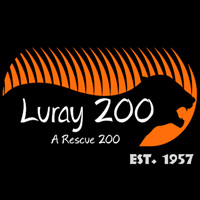 Visit the Luray Zoo in Virginia today and see all the rescued animals! It is open every day from 10a.m to 5p.m with a fee of $10.00 for adults and $5.00 for children (3-12). The Luray zoo is home to over 250 animals and the leading rescue zoo in Virginia. As a private zoo, it receives animals that are retired zoo animals, unwanted pets, abandoned animals and also abused animals. It also has one of the largest collections of venomous snakes. It also includes a petting zoo and adopting facilities. A park full of friendly animals! Visit the Leesburg Animal Park in Virginia. It is typically open Tuesday- Sunday 10:00-5:00, Monday - closed. 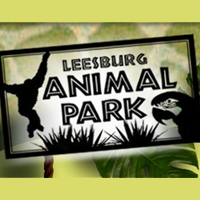 The admission price for the Leesburg Animal Park is $9 for children (2-12), $9 for senior citizens (60+), and $11 for adults. This petting zoo houses many animals both domestic and exotic. It gives you the perfect opportunity to get to know about the animals and interact with them in many activities. This is the ideal place for children to get in contact with real life animals in a safe and supervised environment. The park also holds regular shows, competitions and much more for everyone to enjoy. So, visit today and have a wonderful time. One zoo of a ride! 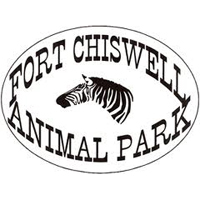 Visit the Fort Chiswell Animal Park in Virginia today and have a great time with the animals. It is usually open 10a.m to 4p.m on weekdays and 10a.m to 5p.m on weekends with a fee of $12.00 for adults and $9.00 for kids (3-12). But it also has some seasonal schedule changes. The zoo has a lot of animals to see and learn about. It has animals from six different continents. As the main attraction, the zoo gives you the opportunity to take a tour on the safari bus. The bus takes you deep into the habitat of the animals where they roam wild. There is also the opportunity to touch and feed the animals. In addition, there is also a petting zoo where you can get really up close to the animals and touch and feed them. A visit to this park will really get everyone excited, especially the young ones. 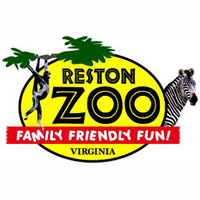 Spend some family time at the Reston Zoo in Virginia and spend some friendly time with the animals. It is usually open from 9a.m to 5p.m on weekdays and 9a.m to 6p.m on weekends with a fee of $12.95 for adults and $9.95 for children (2-12). But the schedule may vary during the season. The family-friendly zoo is home of many exotic animals and gives visitors the chance to interact with them directly. The zoo has many exhibits on display to learn about, a petting barn to feed and learn about animals and a safari to observe the animals in the wild. So visit the place today and have lots of fun. 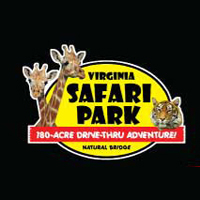 Visit the Virginia Safari Park today and have a drive on the wild side. It is usually open from 9a.m to 5:30p.m every day and has a fee of $16.95 for adults and $10.95 for children (2-12). But the time schedule changes throughout the year. The Virginia Safari Park gives the opportunity for people to be able to see wild animals in a much more natural environment then they usually are. With over 3 miles of road, there are many species of animals to see, touch and feed. There is also a walk-thru where people can get to interact with many exotic animals especially the children. So, visit the Safari Park today and explore the animals. 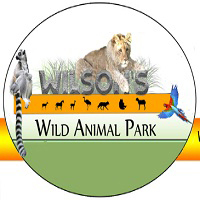 Visit Wilson's Wild Animal Park in Virginia today for a great time outdoors. It is open Monday through Friday from 10a.m to 5p.m and from 10a.m to 6p.m on Saturdays and Sundays with an admission fee of $7.00 for 3 years and up. Home to over 200 birds, mammals and reptiles, Wilson's Wild Animal Park is the ideal spot for anyone to go out for a relaxing time and to enjoy a great time with animals. The park also provides the opportunity for people to learn more about the animals and feed them. So, visit the park today and have a great time with animals.